(Rick Egan | The Salt Lake Tribune) Former Jazz man, and New York Knicks center Enes Kanter (00) had a rough night as Jazz fans booed every time he touched the ball, in NBA action between Utah Jazz and New York Knicks, in Salt Lake City, Saturday, Dec. 29, 2018. Portland, Ore. • Center Enes Kanter has joined the Portland Trail Blazers. 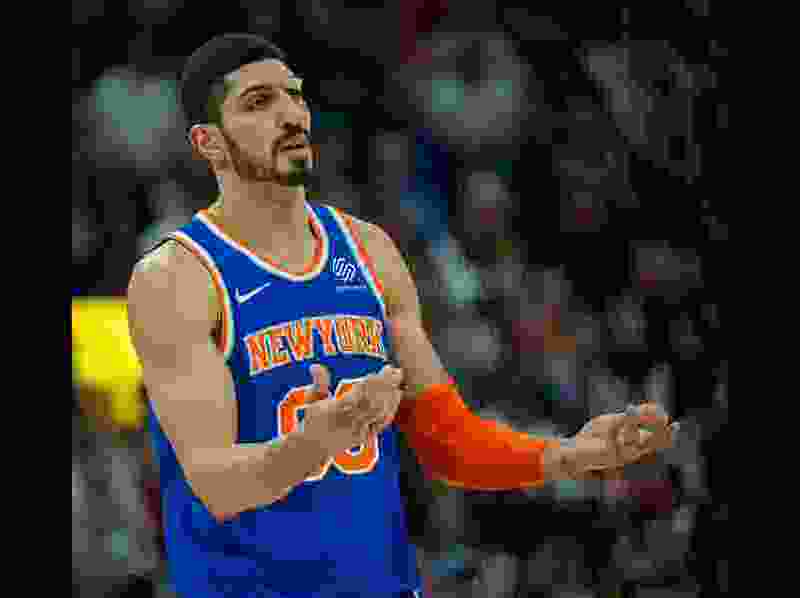 Kanter was once a starter for the Knicks but fell out of the rotation altogether when the team — with the worst record in the league — turned its focus to younger players. The Knicks could not find a deal for Kanter before the deadline.